The uncomfortable silence stretched out, and Hugo wasn’t sure how to proceed. Carmen’s mother Genevieve seemed to be waiting for something, but he couldn’t tell what. When she turned and took a step towards him, he instinctively sat down. Growing up in a house full of strong personalities taught him how to be wise when picking his battles, and when picking his battle stances. Genevieve took a deep breath, and before she even spoke one word, her fists were clenched, ready for a fight. Hugo wasn’t sure what to do or say. Carmen was still sleeping soundly next to him on the bed, none the wiser that her mother had just told him to get lost. Could he really back away like Mrs. Butler wanted? Hugo couldn’t imagine leaving his family. If he was being honest with himself, it felt like he had multiple families: the one with Imane and Anya, his sister Luna’s family, and the one in this house. 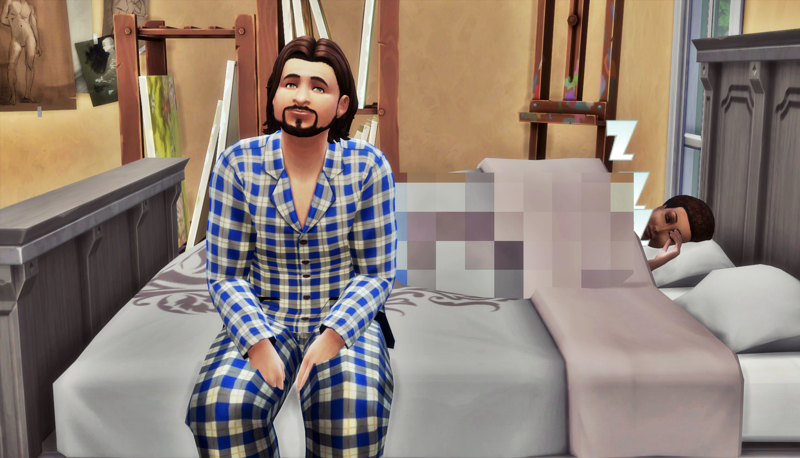 His baby brother Max was a teenager now and was living all by himself in the big house they grew up in on the Windenburg island now that their father had passed, and Hugo still felt a responsibility to him as well. He didn’t mean to end up pulled in so many directions, but he needed to make sure everyone was taken care of. Being the oldest of three siblings, and the biological father of 5 toddlers could weigh on a man. But until he was just crucified by Carmen’s mother, Hugo would’ve said he was handling it well. Was this really affecting Carmen in a way he couldn’t see? Did she not mean it when she said she understood his predicament and loved him anyway? Hugo hated that her mother was putting all sorts of doubts into his head. But if he left like Mrs. Butler clearly wanted, wouldn’t that just be feeding into her concerns about his affection for her daughter? He didn’t know what to say or what to do and probably would’ve stayed frozen in inaction for much longer had he not heard a muffled noise from the downstairs. He appreciated that the sound was muted because that likely meant the soundproofing worked both ways. 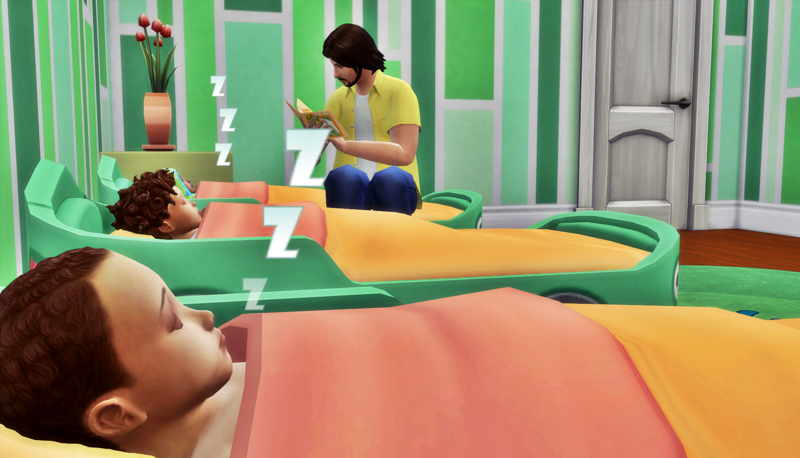 But he wasn’t sure if any other adults in the house were still awake, so he headed down to check on his boys. He got dressed first, choosing not to run into any more parents in his PJs. 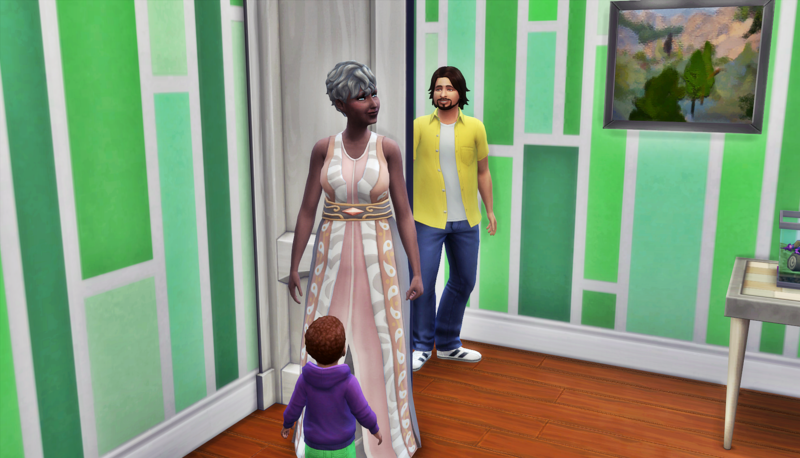 He walked into the boys’ room and was greeted by Rodrigo’s large smile and Genevieve’s disapproving side eye. Rodrigo thought for a moment, his little face scrunched up as he searched for the words in the language of his father’s people. In spite of herself, Genevieve found this moment to be really adorable. It flew directly in the face of her criticism to see Hugo teaching his son Spanish. She couldn’t claim her grandsons weren’t getting enough attention from their father if they were learning to be bilingual. Hugo picked up Rodrigo and hugged him in celebration. He was proud of how well his son was learning the language. He knew this was the perfect age to start learning, and was looking forward to teaching the twins more Spanish as their language skills improved. He turned his head to see Genevieve’s half a smile as she left the room. Hugo knew he hadn’t won her over, but he could tell she’d have a harder time actively hating him going forward. I kinda thought the same. But her father was all smiles around him, and her mother was all frowns. I’m glad to know you’re rooting for Hugo and Carmen! I’m glad she warmed a touch at the end there. That scene teaching Rodrigo Spanish was so adorable! Hugo is clearly a loving father to his boys… but he really has to figure this situation out soon! Does he have to figure it out soon? Technically this could be dragged out until the boys are grown. There’s no good way to deal with your vampire wife who doesn’t care about wasting your mortality. But yeah, Carmen’s mother was being a lot there. Maybe she’ll give him a chance now that she’s seen the conclusion she jumped to wasn’t exactly correct. Fingers crossed this situation won’t last too much longer? But I guess we shall see! Hmph. I hate when people want to talk just to get stuff off their chest and refuse to listen in return. So many misunderstandings can happen…as we’ve seen! Yup, Genevieve never gave Hugo a chance. We’ll see if that changes. This was great. We got good insight into Hugo’s problems and how he felt about everything. He handled Carmen’s mother as well as could be expected and demonstrated that he loved his boys.. But will he commit to Carmen and leave Imane? 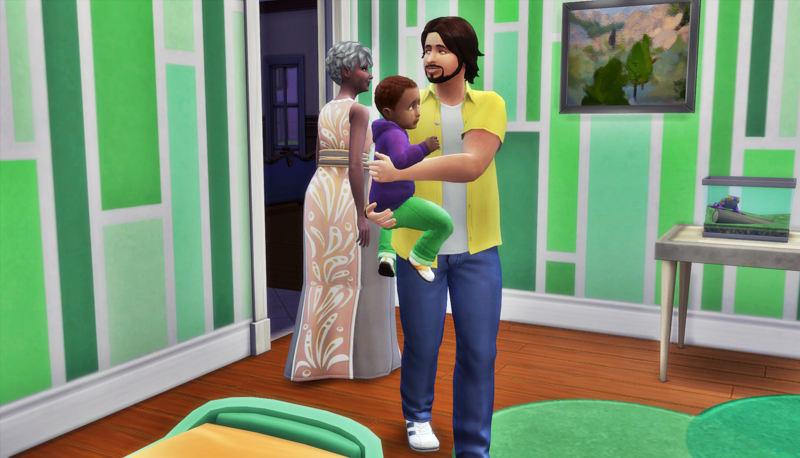 Hugo certainly feels the weight of his mistakes, but he deeply loves his family. If it were up to him, he would have that fight with Image and marry Carmen. In the next chapter, we’ll see Carmen make an attempt to figure out what to do. My favorite chapter so far. Great writing, and each screenshot was a masterpiece . Wow, thanks! This chapter was fun and hard to write. Genevieve is not a Hugo fan, so I wanted to show that without making it seem like she was treating Carmen as less than an adult. You really pulled it off! And Genevieve gave you great material to use! 🙂 Those expressions! I love the different angles you used in the screenshots–that one behind the head of Carmen’s dad, and that one with Hugo in the mirror’s reflection! 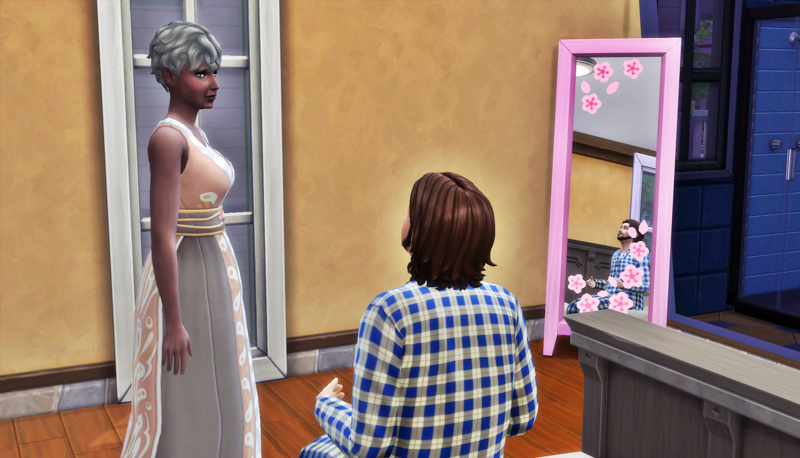 Yeah, it totally makes me want to start putting mirrors all over all of my sims houses.